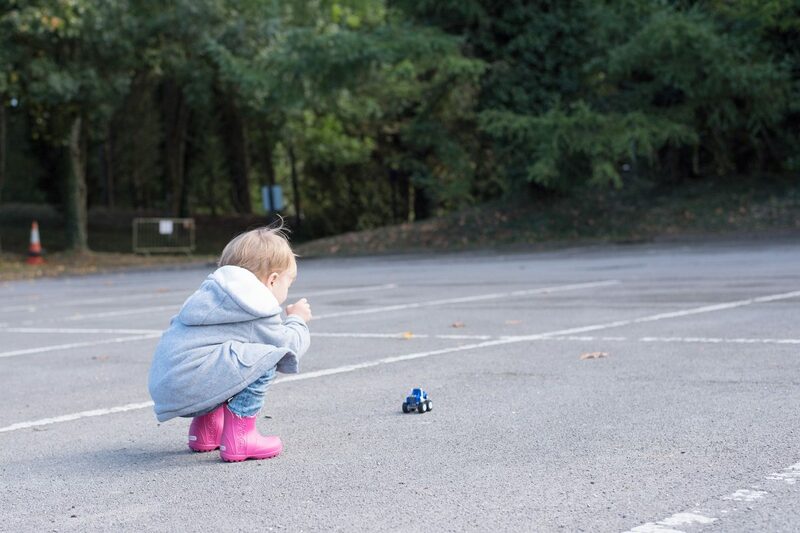 Since Blaze appeared on our screens with his Monster Machine friends – and some naughtier Monster Machines too, my boys have been huge fans. I’m a huge fan because one of childhood’s most trusted allies, Fisher Price, make the Blaze and the Monster Machines toys. 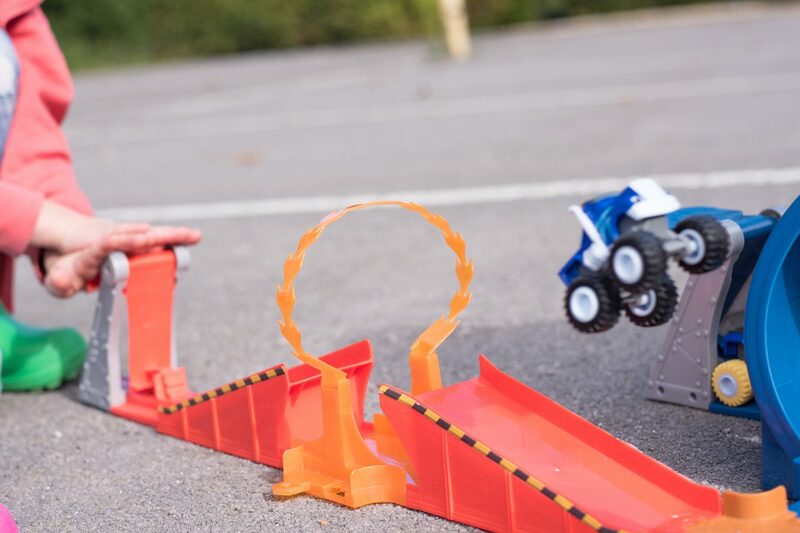 This week they’ve been all excited to take out the Blaze and the Monster Machines Monster Dome Playset for a test-drive. 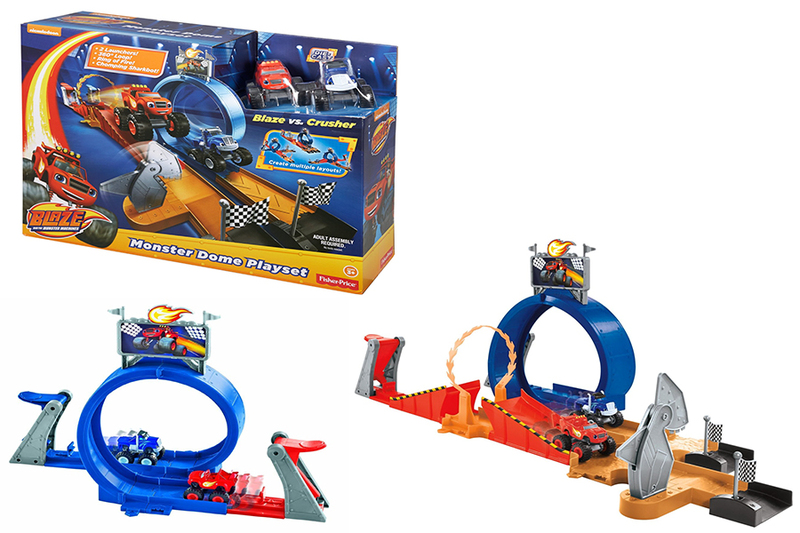 Our Blaze and the Monster Machines Monster Dome Playset came in pieces which needed to be connected to construct a loop-the-loop track and an adjacent ring of fire leap. 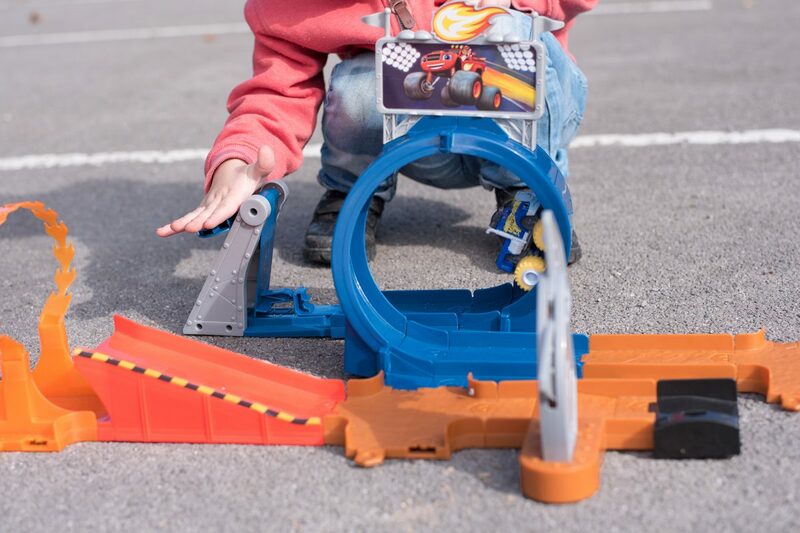 Die cast Blaze and Crusher toys face each other and then with a smack of the levels behind them are propelled along their part of the track to see which car will finish first! There’s also a chomping shark at the end of the track for if you have a third little member of the family who wants to join in. Before I tell you what we loved and wished for with this toy, I should just mention that as a side note, Blaze and the Monster Machines Monster Dome Playset is aimed at 3 year olds and over. Normally I wonder why they set these limits for toys when there aren’t any small parts, but for this toy the reason is very clear but easily over come. The activation levels that the boys needed to hit were a little too difficult for him to hit as fast and hard as needed. The solution? Feet. Always feet. Stamping on the lever made Blaze or Crusher [the naughty one] leap into action. The plastic is bendy and not brittle – when the track has been lifted by the boys, it’s stayed in one piece and not broken off. No batteries required! Just like Blaze in his episodes, this toy is a fantastic example of STEM in action. My dad would be delighted. Blaze and Crusher are die cast and SO fantastic. We already have quite a few of these in our home thanks to the boys and they’re heavy duty, mud-sand-water-grit-whatever-else-you-can-throw-at-them resilient. Plus they’re only £4.99 which is just amazing in my opinion. The track can be taken apart and new tracks made. The instructions were SO simple and easy to follow – and I am terrible at them generally. That we could buy more track to turn it into a circular or oval track. That would be so much fun! We were sent our Blaze and the Monster Machines Monster Dome Playset fir the purposes of review. You can buy yours for around £25.